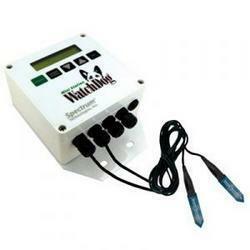 We offer an extensive range of Temperature Loggers which caters to the needs of various industries. Our range is compact in design, rich in feature electronic temperature monitor and is known for its cost-effectiveness. These are widely used for various purposes such as storage of perishable food goods, food & beverages, fresh fruits, fish, sea foods, dairy products and confectionery items. It can also be used in monitoring temperature for the shipment and to store certain temperature sensitive chemicals and medicines. 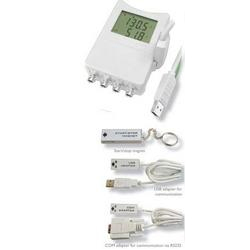 We are engaged in offering Temperature Data Loggers to our valuable clients. These are known for recording temperature or temperature in combination with other signals. The main feature that has grabbed the attention of our clients that the user can even download the data while it is logging. This enhanced systems have built its own credibility offering such features. The prices are competitive to market trends. Dual level alarm is enabled for each channel, alarm is indicated by blinking of the value on the LCD display or LED. Being a quality-driven firm, we offer Smart Button to our clients. This is cost effective and easy to use. The compact size of this button let the client purchase tens or hundreds of them for multiple-site temperature monitoring. It has given the easy data logging process to the users that helped us to gain much credibility and client's satisfaction. The user friendliness is the key feature as any one can easily use the product. Button-sized temperature data logger The ACR Smart Button is a miniature-sized temperature logger that is extremely low-cost and easy to use. Because of its small size and low cost, you can purchase tens or hundreds of them for multiple-site temperature monitoring. To get you started, purchase the Smart Button Starter Pack. It includes one Smart Button, an interface cable, Smart Button Reader software and a mini manual. So simple and easy to use, anyone can start data logging today!